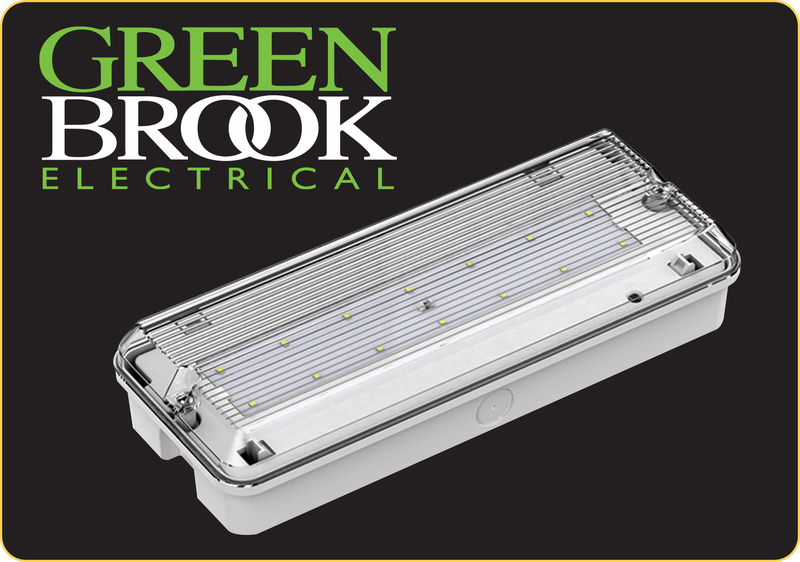 GreenBrook Electrical has launched a new bulkhead for its emergency lighting range, designed to offer a cost-effective emergency luminaire for interior and exterior applications. This IP65 polycarbonate fitting is link changeable to maintained or non-maintained and can be either wall or ceiling mounted. Complete with vinyl self-adhesive legends, it has a facility for remote switching and offers a hinged gear tray for easy inspection. Offering built-in battery protection and a charge indicator, the fitting’s emergency operation duration is a minimum of three hours.